When you earn wages, tips, or a salary, your employer will send you a W-2 form detailing your income over the past year. 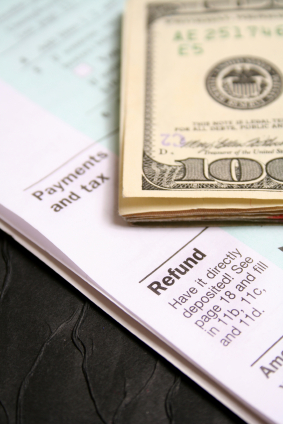 The Form 1099 is used by the IRS to report all other forms of income you’ve received. 1099-MISC – The 1099-MISC, arguably the most common 1099, was created to cover all sorts of miscellaneous income such as freelancer income and work as an independent contractor. If you’ve received any sort of income over $600 form any source, be looking for a 1099-MISC in the mail leading up to April. 1099-INT – For those of you who’ve earned income from interest, such as investment or savings accounts, you will be using the 1099-INT to report this income to the IRS. This form details exactly how much interest income you’ve earned. 1099-S – Another 1099 that seems to be gaining in popularity as of late is the 1099-S form, which details real estate transactions. This form is pretty straight forward, and you should receive the 1099-S from your broker explaining your income from your real estate deals. 1099-C – The 1099-C reports any of your debts that were cancelled in the past year. As an example, if your credit card company settled the debt that you owed by forgiving $3000, then you would be required to report that amount as income on your tax return. 1099-R – For those of you who have been planning for the future, the 1099-R will find it’s way into your mailbox if you have taken money out of your retirement account or pension plan. Yes, those withdrawals are likely considered income. 1099-DIV – One of the last more “common” 1099 Forms is the 1099-DIV, which will be important to you if you have earned income based on dividends and distributions from your stock portfolio. The overall purpose of the 1099 is to make sure that you, your source of income, and the IRS are all in agreement about your earnings. For a complete, comprehensive, and expert look at all 20+ 1099s, you can talk to a Turbo Tax professional about which forms you should be expecting. Remember that all your sources of income will not arrive on one 1099 form. Does anyone know if I can use the TT Deluxe version if I have one mutual fund that gives me about $150.00 in ordinary dividends?? My husband received a 1099 misc. form from a former employee. Upon his retirement he was a warded $100.00 a month to pay for health insurance as a severance pay. It keeps putting it into a business for him. I have asked company about this and they said IRS told them to put it on a 1099 Misc. form. Is this correct? I have several 1099 MISC forms and TT keeps putting them into a business when this was money earned freelancing. I can tell TT not to put this into business income? I am using the Turbo Tax basic. My total income is $4500 +. I have a 1099-misc for $25. If I do not have any expenses for this 1099, do I need to purchase an upgrade for Turbo Tax basic? I filed my taxes and claimed 2 kids. i was receiving return of approx $5000. I then realized i had to file additional income as an independent contractor for $6000. And i claimed $3300 in work tools. It brought my refund down to $900. How is this possible??? What am i being taxed on thats bringing it down so much?? I did some contract work for a local business, I only made $80 in 2013 – since its under $600, I do NOT need to file anything additional? I filed my taxes this morning thru turbotax. I just checked the mail and there’s a 1099-MISC form! What do I do since I already filed?? I have been using Turbo Tax for several yrs now, however, this yr. I have Form 1099-S. There doesn’t seem to be a Form 1099-S in the 2013 Deluxe TurboTax software. What is up with this? I sold a 2nd home in 2013, that had previously been used for rental for a couple of yrs. It was no longer rental since 2010. So, I’d like to know what software I should use and where to find the 1099-S form on the software. I have TT Deluxe. How do I deal with a 1099-Misc from my employer for “Other” compensation in the form of stock in an S Corp? It doesn’t seem like this compensation should be subject to self-employment taxes as I am an employee. Not sure why the company chose to use a 1099. I received a 1099-DIV form which shows total ordinary dividends, qualified dividends, total capital gain distributions. Which turbo tax do I need, deluxe or premier? HELLO I HAVE A QUESTION I’VE ALWAYS BEEN FILLING SINGLE HEAD OF HOUSEHOLD WITH A W-2 LAST YEAR WAS THE SAME W-2 BUT WITH THE DIFFERENCE THAT I GOT MARRIED IN SEP 2011 SO WE FILED AS MARRIED JOINT, NOW WE HAVENT BEEN LIVING TOGETHER SINCE APRIL OF 2012 AND I WAS GETTIN PAID CASH WICH MEANS I WAS GIVEN A 1099 NOW IM CONFUSED HOW I WOULD FILED IM NOT LEGALLY DIVORCE AND I WOULD LIKE WHICH WILL BE THE CORRECT FILING STATUS? Can you guys help me out..I work as a private caregiver & gets paid twice a month.The question is what should I do with filing my taxes?I have saved all my receipts on my all my expenses.Does that count? What about Inheritense money we reeived to pay off bills to clear our credit report? Also I have guardianship of my grandson and reveive 660. per month for his care through his Mothers DisabilitY? I receive partial disability because I am married but due to cancer and chemo, he has been off work since September of 2012, receiving short term disability? I received 1099 certain govenrment form for the state tax refund I received from the state that was taken out of my paycheck in 2011. I never itemized it it was a standard deduction that I used so never filed the schedule A form. I was told that it would not be a taxable income so I was told it does not need to be added to my return. From my research it is saying that I would not and just to keep it for my records. I made a withdrawl from my 401k during 2012. I am presently retired. Is turbotax (deluxe) the correct program to use? Thank you. Yes, TurboTax deluxe can handle your 401K withdrawl. Happy Monday and thanks for the tax tips! I love a three day weekend-now if only the kiddo wasn’t fighting off a cold! Hope this finds you doing super awesome and hopefully enjoying some rest and sunshine! P.S. Remember, TEEN WEEK starts Feb 1st and the giveaways are HUGE plus celeb written teen posts!